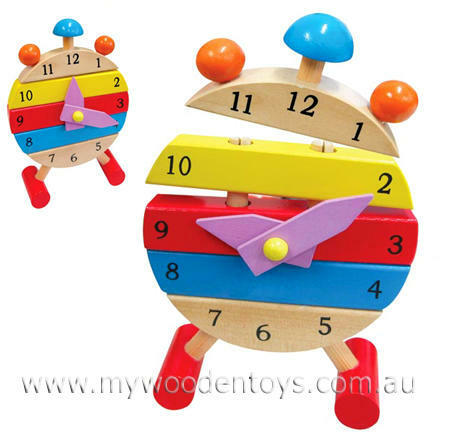 Pile Up Stacking Wooden Clock is a five piece fun educational toy which cleverly combines a stacking toy and clock with movable hands. This clock stands on two solid red feet and each piece stacks onto wooden uprights. A great toy which helps little ones learn to count, stack the pieces to create a circle and of course tell the time. Size: 18cm tall x 12cm wide x 4.5cm thick. We like this because: "A great little toy packed with learning possibilities."